You can love a place before you see it. A place you continue to hold in your heart even after you know it, faults and all. That’s the Mekong Southland for me. My husband is a man of the Mekong southland. He was born in the deep south, in a town on brackish salt marshes a hundred kilometres from the southernmost branch of the nine-mouths of the Mekong River. He grew up in a small city on the Hau Giang, the largest branch of the river, and he went to school in Saigon, 40 kilometres from the Tien Giang, the Mekong’s northernmost branch. I began to love the Mekong southland because I loved him. I fell in love again the first time he took me to visit in 1991. I’ve kept a place in my heart for it since, warts and all. The guns are silenced, Vietnam is unified but the Southland is still recovering from trauma. It’s not just the war the Americans have been traumatized by. The Southland’s rich earth has been stained by blood for a thousand years, from the time of the first territorial disputes with Cambodia in the time of Angkor Wat to just last year when a woman dissident’s mother immolated herself in the name of press freedom. Despite the economic progress made since the war, the fact that the Southland is the ricebowl of Vietnam and one of the ricebowls of the world, that Vietnam’s wealthiest city Saigon sits at the northernmost point of the region, the people of the Southland are by and large as dirt poor as their soil is rich. You can’t eat dirt after all. So girls from the Delta leave their homes as soon as they’re grown to sell themselves in the factories around Saigon, the bars in the city, and the brothels in surrounding South East Asian countries. So men make the trek out as well to be construction workers and navvies. It’s a place where the contrast between rich and poor is so wide few can resist the temptation to cut a few corners, to dip their hands in the till. On the road down to the Delta and back, the van we were travelling in was stopped both times so our driver could pay New Year respects to the traffic police. We accept the need to stop with resigned good grace. Everyone wants to do better. Can we fault ambition? But I like to believe there is hope. And when we returned to our apartment in the city with all its mod-cons and I wrote this poem about hope to a friend, I realized, it was also a poem about hope for this land that I have grown to love. It’s morning here in Vietnam where it’s night over there for you. Soon you’ll sleep and in His arms be lifted up. It’s morning here in Vietnam. 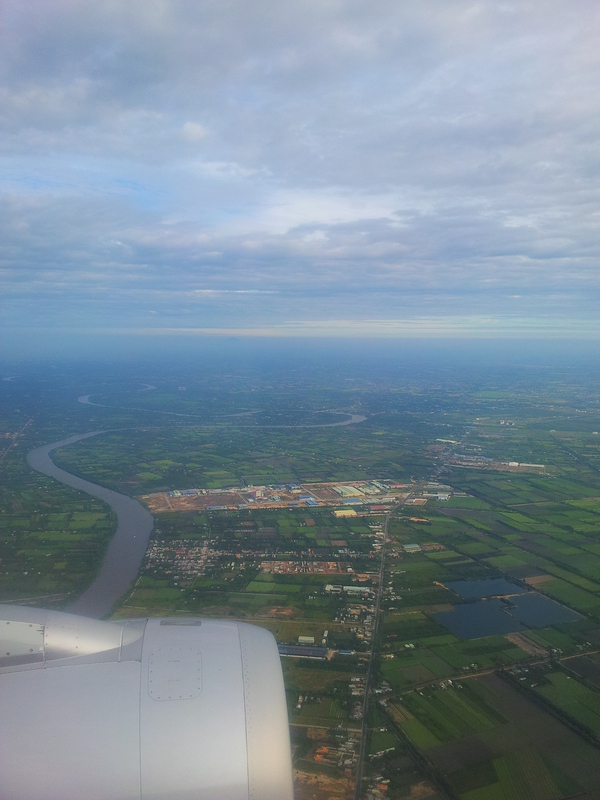 As in years past, the Saigon river flows from my right to my left and towards the sea. In a field below my window a farmer waters his cucumbers; each sprout an exclamation of green protesting the blood-red past. It’s morning here in Vietnam and soon it’ll be morning there for you. It is morning, when the sun rises on eagle’s wings. And all is lifted into light. What are the places in your heart? What are the warts in these places that you hope to lift into light? Do share. Leave a comment. A beautiful word picture. I love the poem. The place I hold in my heart is Rwanda, which has also seen so much bloodshed and trouble. I pray that the survivors of the genocide and their children will forgive, but never forget. You must guest-post for me about Rwanda and the work being done there to rehabilitate children Kathleen. When? Written beautifully and very informative Audrey, the poem is awesome. I hold the Far South Coast of Australia in my heart because it has meant wide open spaces and peace. A place far from the noise and closer to nature. Is this the Far South Coast in NSW? Like on the way to Rainier? I went there and loved it. My favourite place in your country is Kangaroo Island. Thank you for your kind comments Sharon. Did you actually live in Afghanistan or is it a place you feel and unnerving affinity with, so familiar you know you must have lived there before in a different life? Do you write about in on your blog? I’d love to hear.